Brings you the finest organic supreme blends that evoke quality without compromise. Premium signature formulas of impeccable freshness and purity as a hallmark of excellence. Experience the true beauty fairy tale. Know the true power of supreme beauty oils, active ingredients and human touch. The use of oil massaged into skin dates to ancient times, and it was considered a luxurious skin care ritual as well as a timeless beauty tip. Luxurious Eva Maria Cosmetics signature style SKIN PRALINES box. 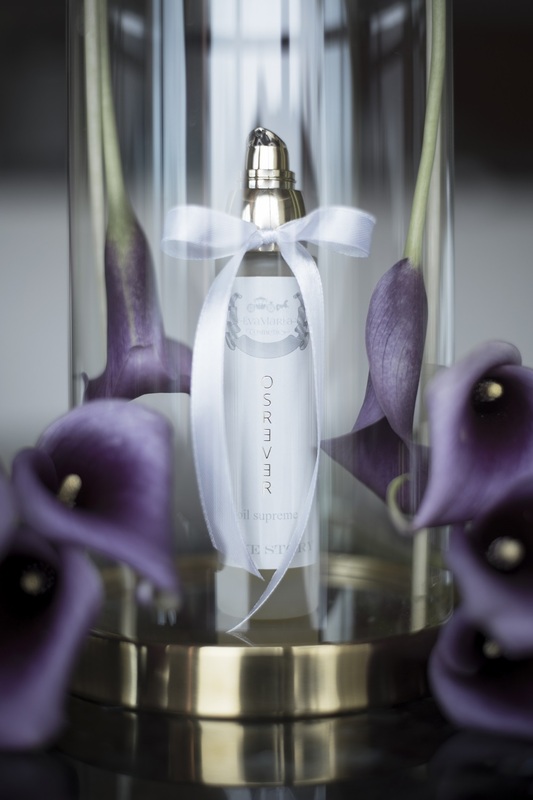 The beautiful silk ribbons embrace our bottles filled with the lavish selection of the most exquisite, supreme oil blends, created to indulge and revive your entire face and body, taking you to the place where good old memories come to life and the new ones are created. It is the exact meeting point where timeless beauty begins and real-life fairy tale awaits. The time stops… for the luxury of the soul. What is the purpose of a perfect bottle? A perfect bottle ensures that its contents do not change over time. For Eva Maria Cosmetics the glass bottle was the obvious choice. The ingredients inside the glass bottle are perfectly sealed, ensuring that the first and the last drop of our oil or body milk are of the same quality. But there’s more to it. Glass is a premium recyclable material, and our bottles serve not only as ‘the container’ but also as a decoration in your home and a wonderful gift.